When former cruise director Julien Sharp turned her passion for games into a new career pursuit, she created something colorful. Literally. 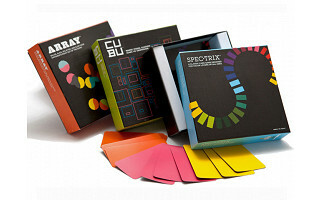 Funnybone Toys’ first three card games -- Spectrix, Array and Cubu -- take inspiration from the color spectrum. Spectrix is similar to rummy; players use their color cards to make moves such as three of a kind or a straight of sequential colors. Array challenges players to match colors. It’s like dominos, but with a geometric twist that lets players branch out and make color connections that extend in many directions from the 16-sided cards. With Cubu, each card contains 2, 3, 4, 5 or 6 boxes, and no two cards are alike. The color and position of the square and rectangular boxes determine how Cubu cards can be played. All three games challenge players to be the first to get rid of all their cards. Together with her design-oriented co-founder, Julien is working to create toys that give your brain a workout while you’re having fun. From a play standpoint, Funnybone Toys’ card games are challenging and innovative. On the graphics front, they have a modern, minimalist vibe that’s a refreshing change from typical game aesthetics. All together, it’s a winning hand. Hello everyone! We are really excited to have Funnybone Toys featured as today's Grommet. My name is Julien, and I became a game creator after years as a cruise director, where I played all kinds of games with the passengers! I also love being an entrepreneur, which I have been for over 15 years. Funnybone Toys was founded in 2011, and we just started shipping our first products this past summer, which are the games featured in this Grommet. These three games make up the “Art of Card Games” series, which combine art, retro-color design, and both classic and original game play. We have a lot of games and toys in process in our design lab, but we decided to on these products first because they are so much fun for all ages – from kids to adults. With these and all our new products coming out next year and beyond, our goal is to build toys for children that stimulate your creativity and give your brain a workout – while having fun. I’m here and very pleased to be able to answer any questions you may have for me today! I love these games! I have all three of the games. I found them at Beyond The Blackboard when looking for card games that worked for a variety of ages. I find that they are not only attractive when left out on the table but encourage quality family time. ;-) Great holiday gifts and the special price of $40 for 3 is a great deal! I bought all three of these beautiful games at Barnes and Noble and they are awesome! My three kids (ages18, 13, 12) love them too. They would make a great teen gift or teacher gift! These games are a beautiful to behold as they are to play. Not for kids alone, we have had many hours of enjoyment playing these gorgeous games with our friends a lazy weekend evening. But watch out how many cocktails you enjoy, as these games require a sharp mind! Clever, creative, fresh, innovative games everyone can enjoy!!! Perfect for gifts on any occasion! I highly recommend these games as a must have!! These games are well designed and seems like loads of fun. We can't wait to get our hands on Array to start splicing, slicing, splattering, and slammin'! These games have the colors of each season and the best of all ...they can be played in all seasons, even though we know Julien is partial to Winter. The greatest and most creatve games ever! Fabulous fun for everyone!!! Love them all! A great gift for any age since they are so unique! @ Susan Fairgrieve Hi Susan! Thanks so much! Really appreciate your comments! Yes! These games are beautiful! My friends and I love playing these! Funny Bone has the most innovative games! I really love a new game, and the Art of Card Games series satisfied my search for a different approach to card games. Thanks for creating such an awesome game!! Wow, great to see games that appeal to the design snob within! Very cool. These toys are unlike any other! Creative, fun and entertaining for all. Get in touch with your creative side! These games will put you to the test to be innovative and become inspired while having fun. Love card games! Love color! Love design! I played 10 rounds of spectrix last night and will do so again tonight! @ Alix Wow - superlatives like that make our day! These games ROCK! From the moment you see them you can tell they are different. The presentation and quality mirrors that of a company in Cupertino. Simple yet elegant design with colorful pieces help keep my kids excited and wanting to play more. Other games just don't it for them. Heck, they keep me wanting to play more. American creativity is at it's best with Funnybone Toys. These are the new classics! 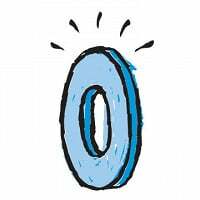 Will your next product launch be a single game or a group of games? @ Michelle Great question! We have five products coming out in 2013 - 3 in January and 2 in June. These products will be more "standalone" products, different from the "color series/art of card games" set that was the 2012 offering of Spectrix™, Array™, and CUBU™. We will be sharing more about that closer to January. Is being a toy company CEO as fun as it looks? They are so attractive to look at and leave out on your coffee table. So different from anything out there now! @ Suzanne Thanks so much! That is what we strive for in everything we have already designed and will be designing in the future - "different" from everything else out there. YAY! These games are both fun and great to look at. When former cruise director Julien Sharp turned her passion for games into a new career pursuit, she created something colorful. Literally. 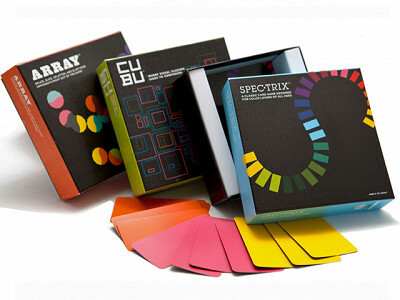 Funnybone Toys’ first three card games -- Spectrix, Array and Cubu -- take inspiration from the color spectrum. Spectrix is similar to rummy; players use their color cards to make moves such as three of a kind or a straight of sequential colors. Array challenges players to match colors. It’s like dominos, but with a geometric twist that lets players branch out and make color connections that extend in many directions from the 16-sided cards. With Cubu, each card contains 2, 3, 4, 5 or 6 boxes, and no two cards are alike. The color and position of the square and rectangular boxes determine how Cubu cards can be played. All three games challenge players to be the first to get rid of all their cards.